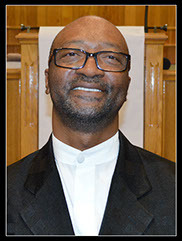 Minister Walter Fulton was born, raised and educated in a God-fearing, loving and compassionate religious family. A family who is grounded and rooted in the Gospel of Jesus Christ. His father was a Preacher. His brothers are Deacons and Preachers. Their families and children are members and very active in church. Locally, in 1989, Minister Fulton became a member of the Canaan Institutional Baptist Church in Norwalk, CT under the leadership of Rev. Balls. On August 7, 1994, he was ordained a deacon. In 1977, in that same church, under the leadership of Rev. James E. Bibbs, he was licensed to preach the Gospel. He later joined the Messiah Baptist Church to worship and serve closer to home. Pastor Tyrone P. Jones, IV graciously received him as one of the Associate Ministers. Minister Fulton is a member of the Men’s Chorus and a blessing to the church family.